SANTA MONICA, CA—Speaking about the upcoming episodes of the Hulu series at a press event, producers of The Handmaid’s Tale announced Monday that the second season would focus on the serious dangers posed by feminism run amok. 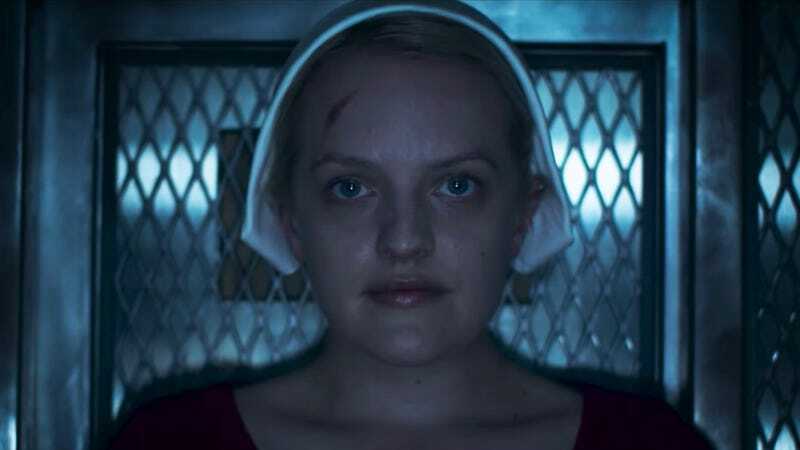 “Fans of The Handmaid’s Tale are going to be thrilled to be back in the totalitarian Republic of Gilead, this time examining how radical feminist ideals can cross a line and, frankly, ruin the lives of decent male subjugators,” said producer Sheila Hockin, revealing that the second season really represented a cautionary tale, depicting the way feminists like Offred can unfairly target and tarnish the reputation of their male overseers simply because they enslaved women and ritualistically raped them for breeding purposes. “It’s especially relevant in the #MeToo era to have sympathetic portraits of characters like Commander Fred Waterford—as we do in the season premiere—who is demonized by the Social Justice Warrior Handmaids simply because he locks women in his home as part of a repressive regime intent on brainwashing, abusing, and murdering them. It really makes you ask: Who’s the real tyrant here?” Hockin added that she hoped the new season would start a broader conversation about the systematic oppression of men by their female subordinates.